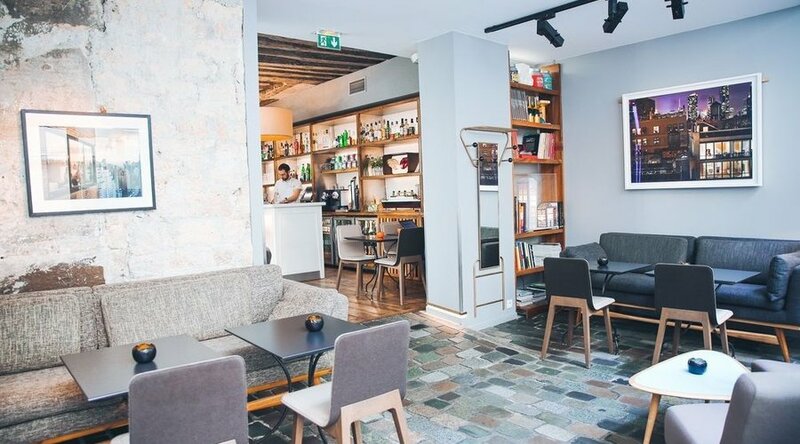 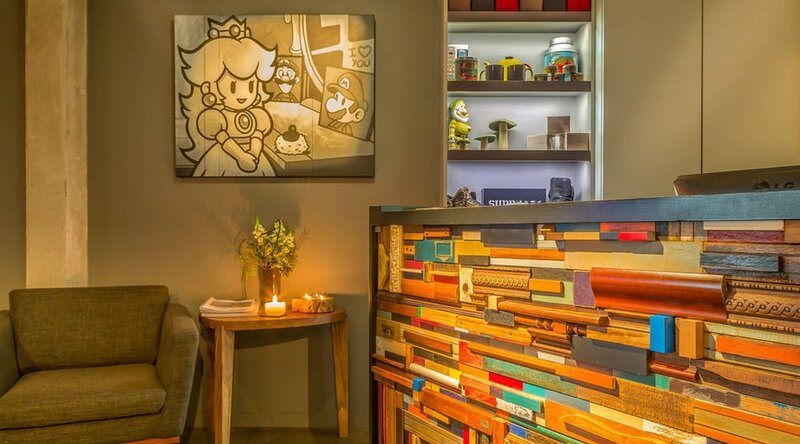 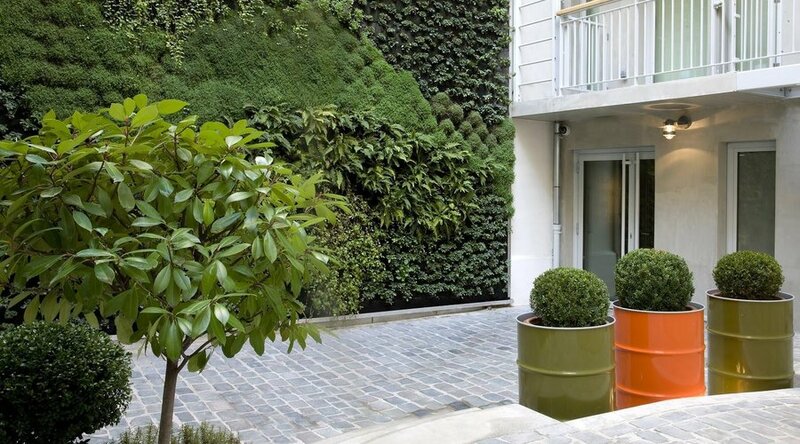 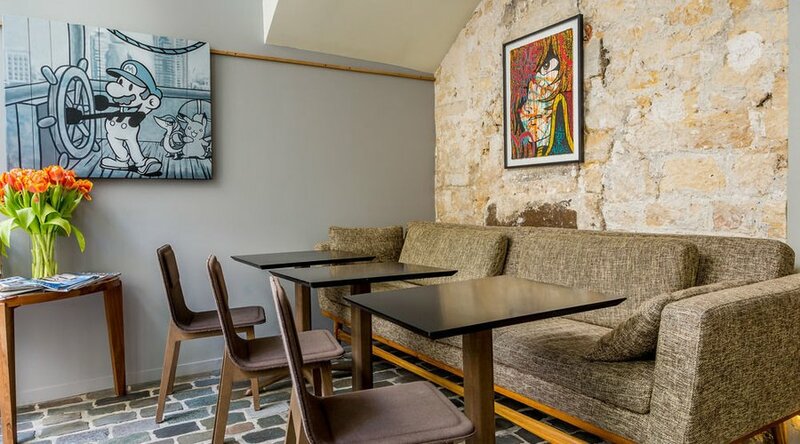 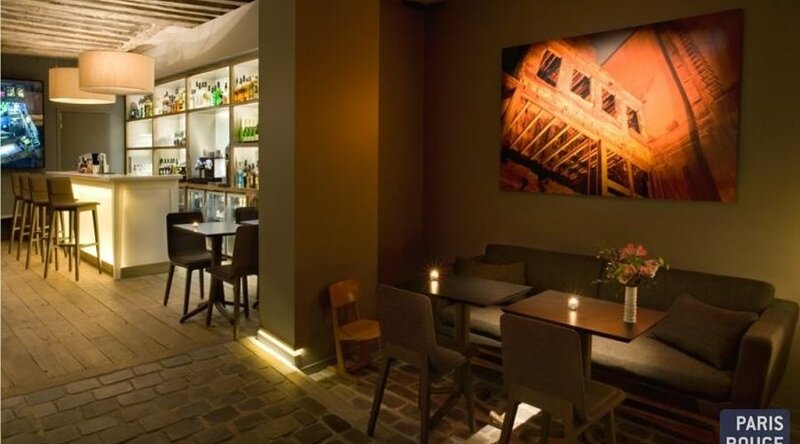 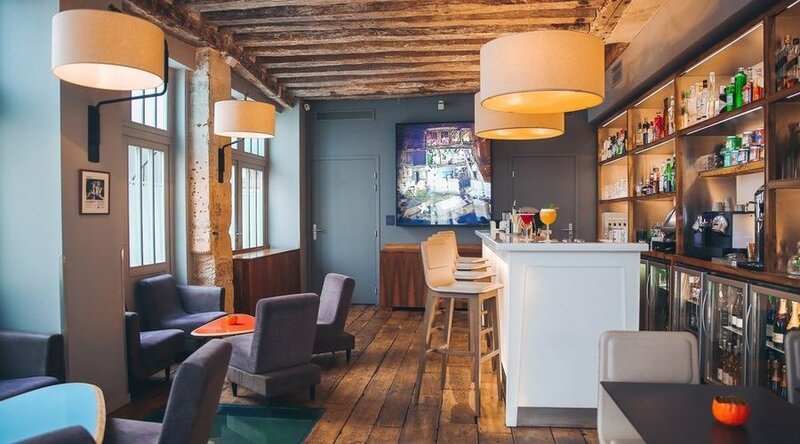 Located in the heart of the Marais quarter in central Paris, this modern hotel is surrounded by two paved courtyards and has views of the roofs of Paris. 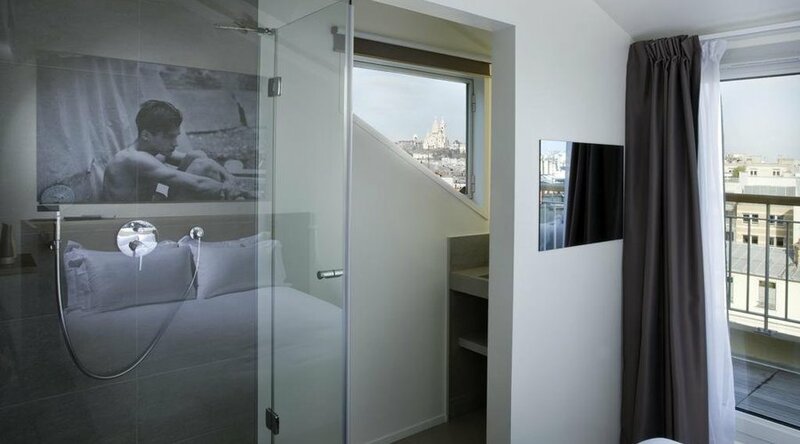 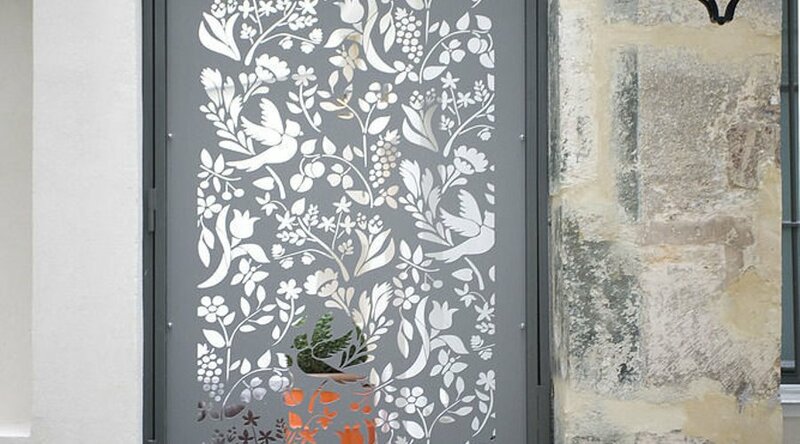 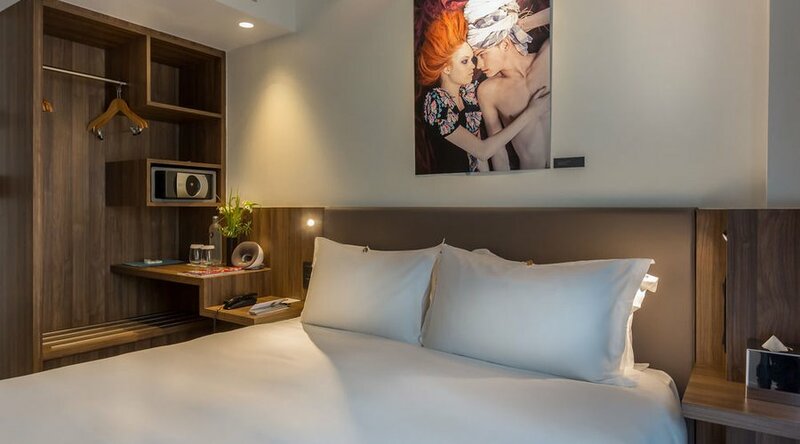 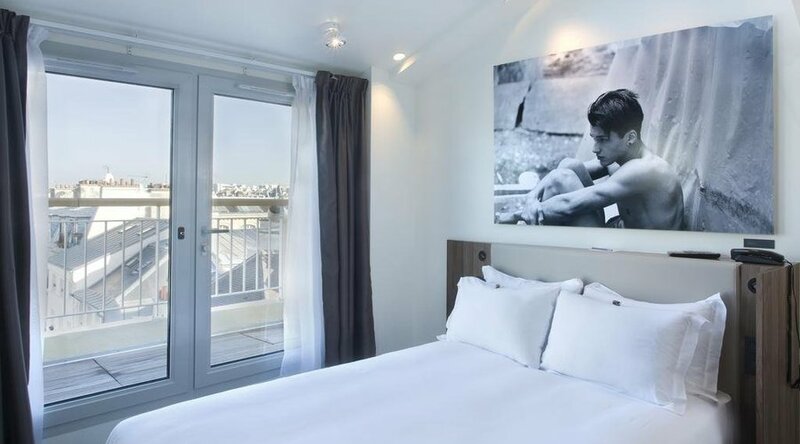 Each air-conditioned and soundproofed room at the Hôtel Jules & Jim has free Wi-Fi, an iPod station, a flat-screen TV and a private bathroom. 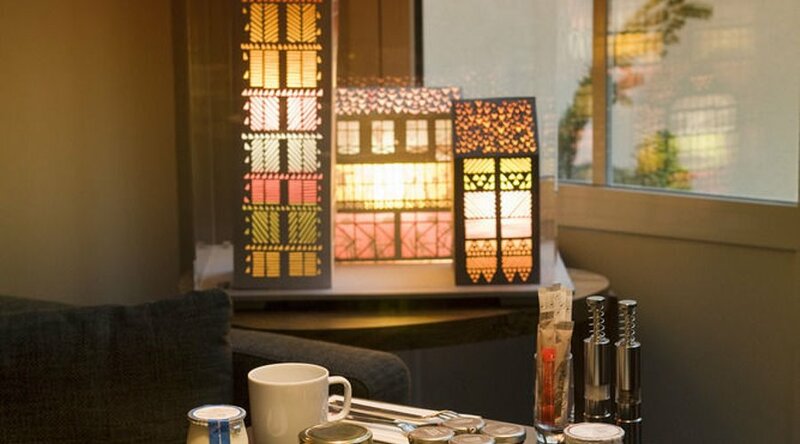 A continental and buffet breakfast made with fresh produce is served daily in the chic dining area. 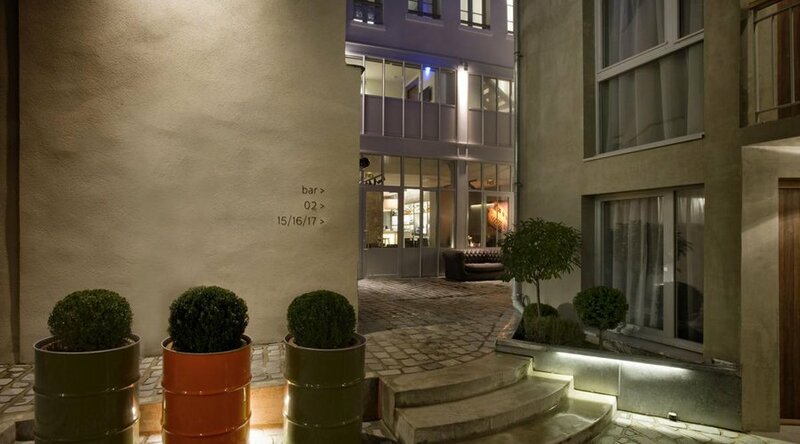 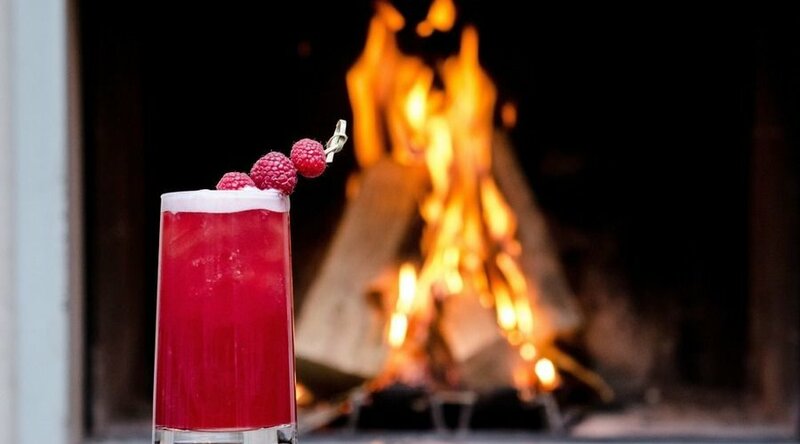 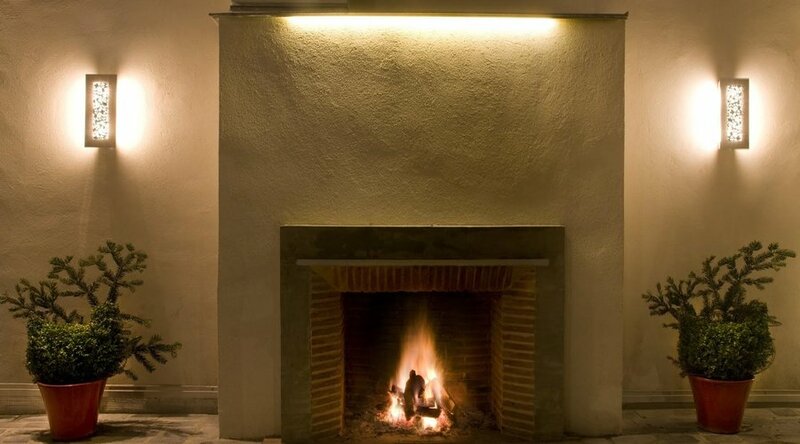 Guests can enjoy a wine or home-made cocktails at the hotel’s bar or on the terrace and courtyard with an outdoor fireplace. 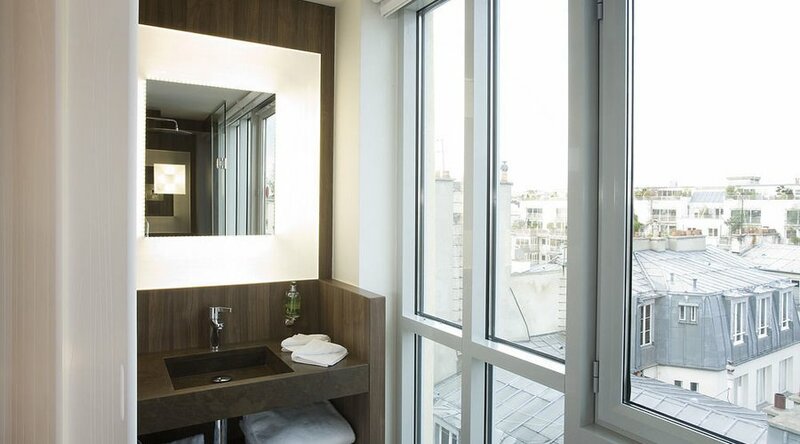 The hotel is located between Place des Vosges and Centre Georges Pompidou. 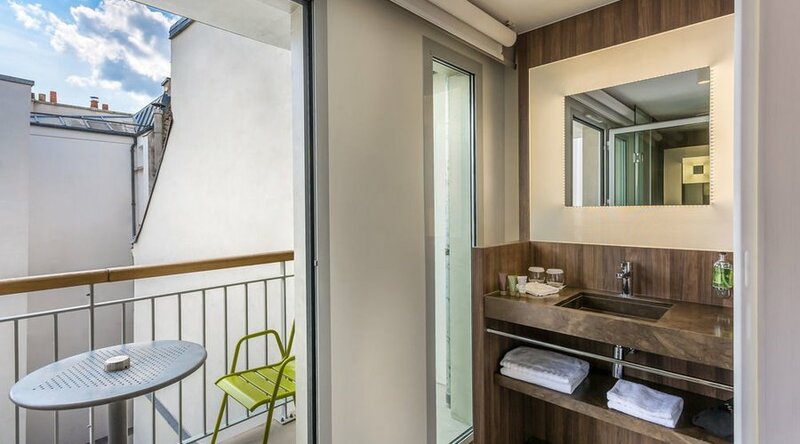 It is a 3 minute-walk from Arts et Métiers Metro station, which gives direct access to Pere Lachaise Cemetery, Opera and Chatelet.